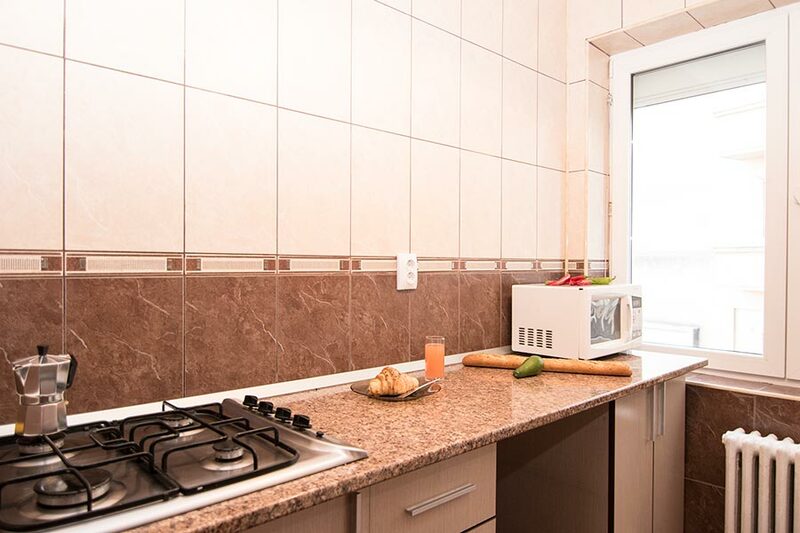 This apartment offers a great base for those in Bucharest on business or leisure, and smart enough to pay less & get more This holiday apartment offers you comfortable accommodation at reasonable price, in an exceptional location at University Square, just few minutes from Old Town and having the metro station just in front of the building. 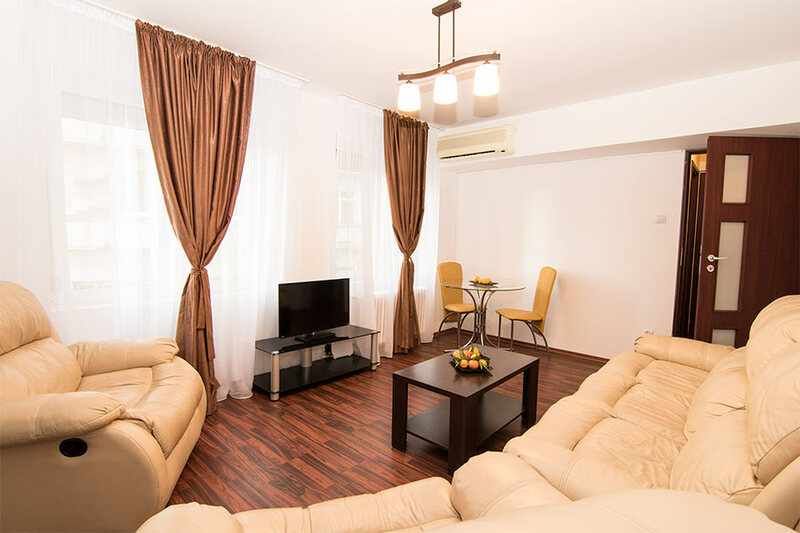 The serviced apartment is also equipped with WiFi and washing machine.Located on the 5th floor of a building in Str Batistei, a peaceful side street, next to Intercontinental Hotel, the apartment for short term rent is furnished in a contemporary elegant style and fitted with all modern amenities.From the entrance hall, the apartment opens onto a kitchen, the bathroom and a living room, with white leather couches and flat TV, with international channels.The bedroom features a queen size bed, a large wardrobe with full-size mirror and an adjoining balcony, overlooking the National Theater. 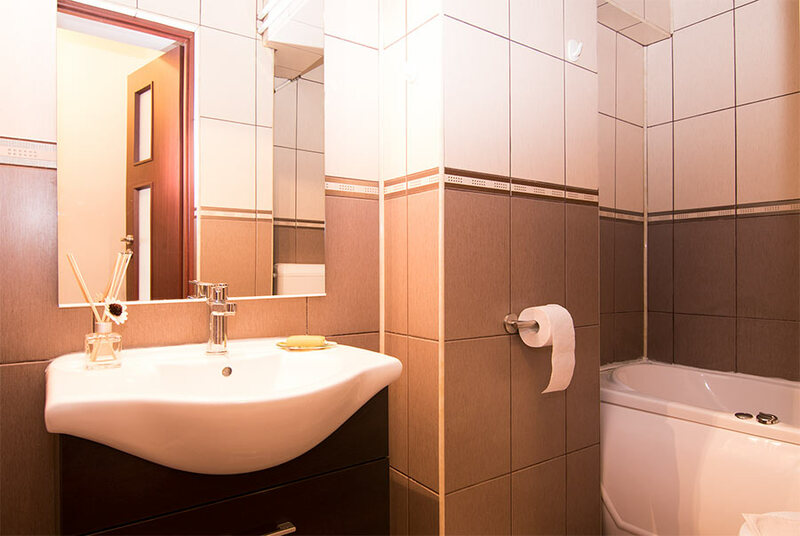 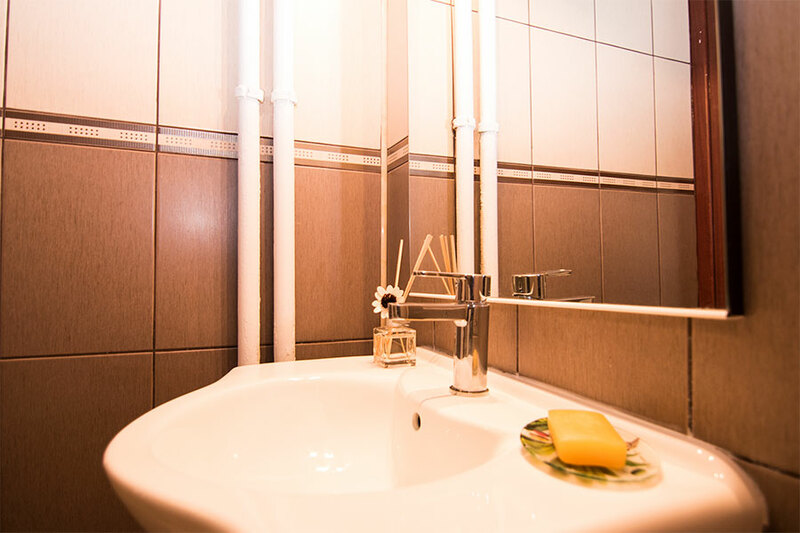 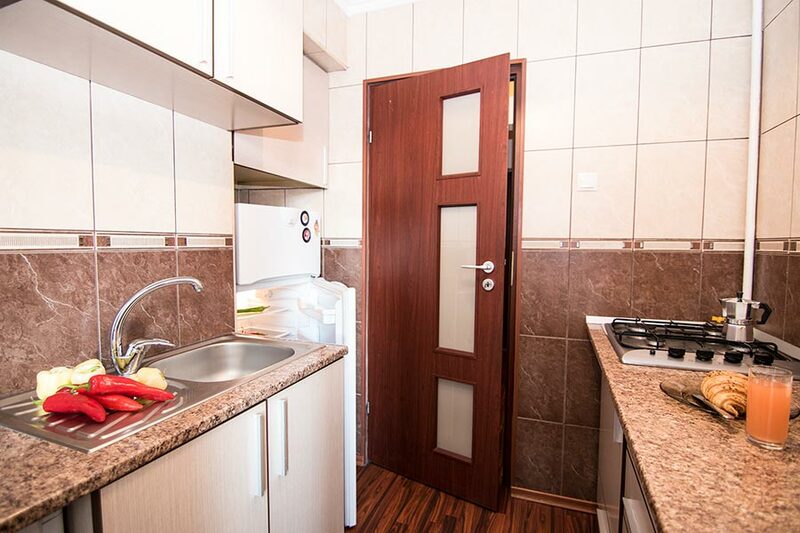 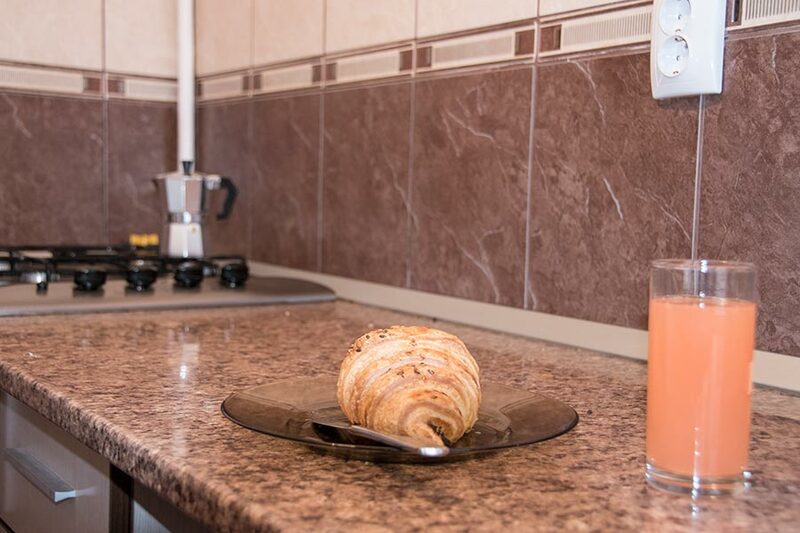 The bathroom comes with bath tub.The kitchen is fully fitted with everything you might need, from large fridge-freezer, traditional gas stove, microwave to washing machine. 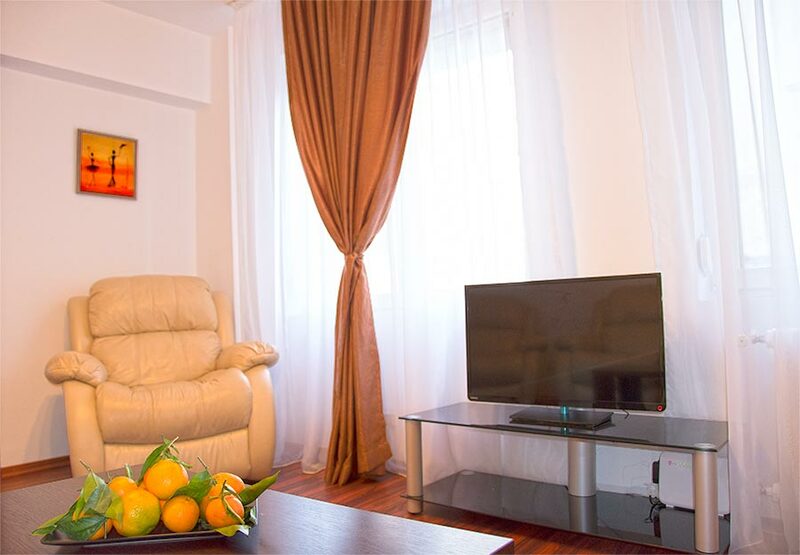 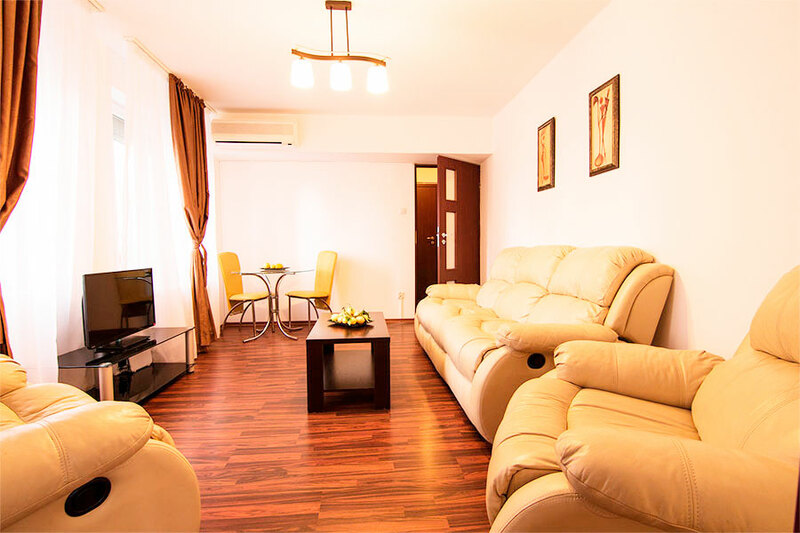 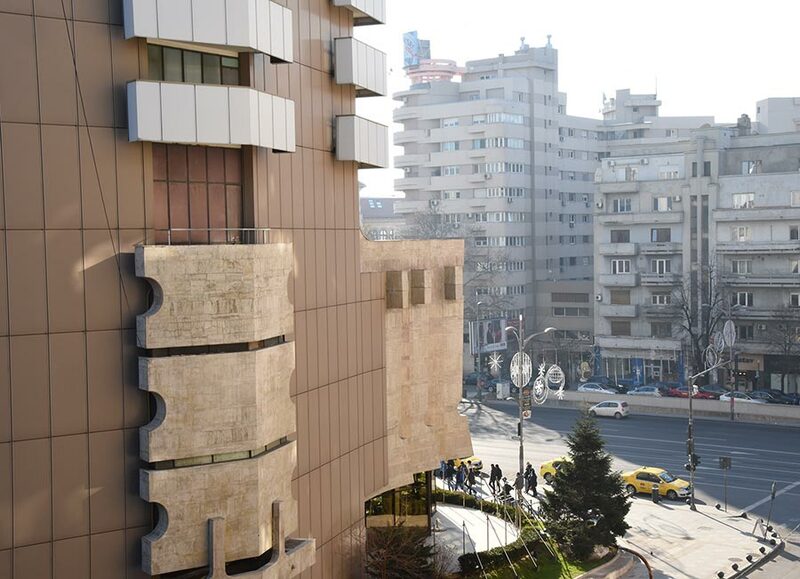 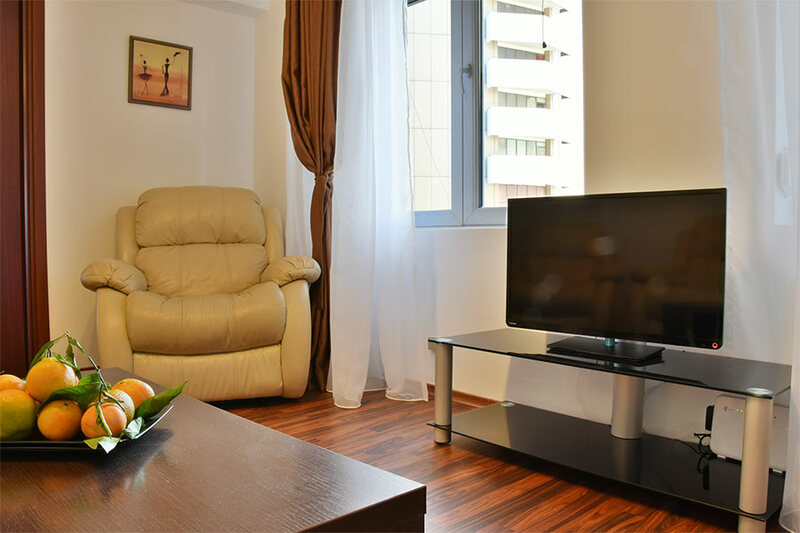 The apartment is air-conditioned throughout, has free WiFi, and is served by the building central heating system. 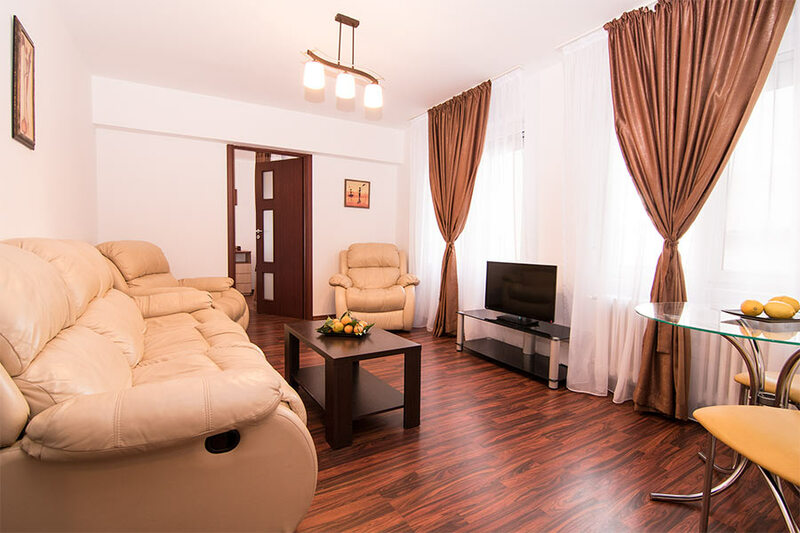 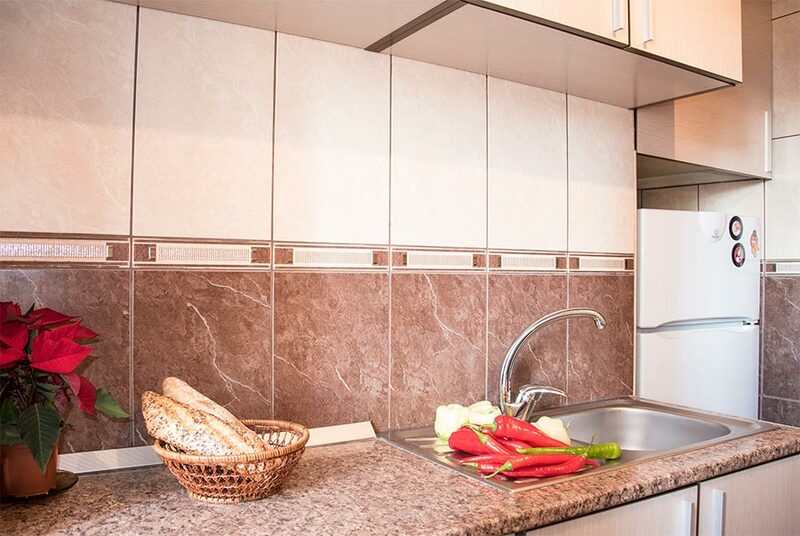 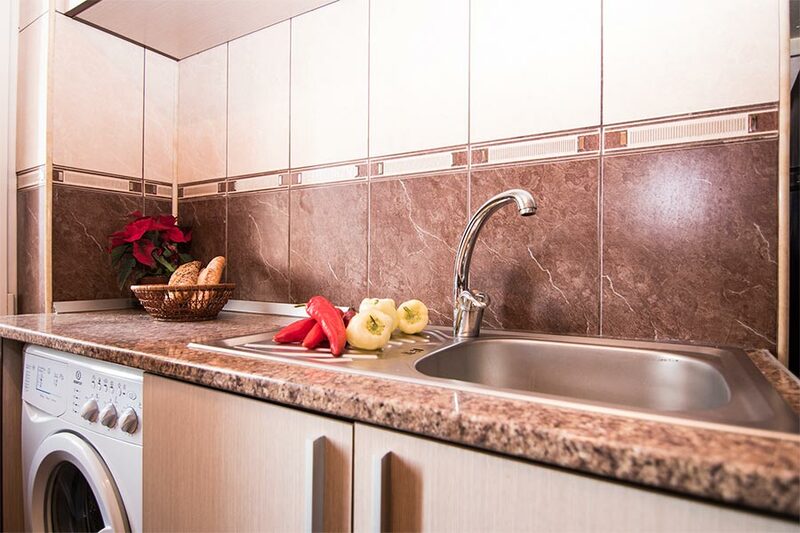 The entire vacation rental is lined with parquet flooring, making it the perfect place to spend time in Bucharest in the utmost comfort.Sight-seeing couldn't be easier, as University Square has a constant flow of buses and taxis, or alternatively the metro, which is only few meters away from the flat.